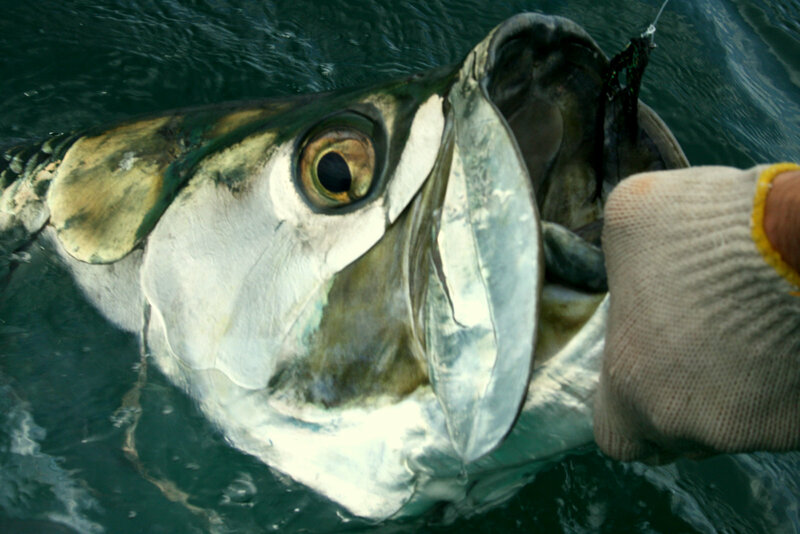 Salt Sessions is a short video clip of a little tarpon fishing adventure in Tampa Bay with one of the founding members of the Angling Exploration Group and close friend of mine for many, many years – Brian Jill. We shot this video on my Canon HV30, just goofing off, with no intention of doing anything with it. We just happened to be into some good fishing, and hey why not film it? Brian did an excellent job of choosing the music and editing the clip! This was my first tarpon on a fly rod, fishing a 12 weight with 50lb leader and a small bunny fly adapted from the “Spring Creek Special” Fly Pattern. We were chasing tarpon schools up and down the beach with skyrises and bikinis in the background, which seemed a rather odd backdrop to tarpon fishing! She ate the fly slow twitched deep near a school of tarpon… Next thing I knew I was in for the fight of my life! The first five minutes of the fight were unreal, and then began the knock-down drag-out… We chased her over a mile and by the time she was done, I was more than done. She made a spectacular aerial accounting for herself, and eventually we had her alongside the boat! She measured about a full 5 ½ feet long! After releasing her I crumpled to a ball in the back of the boat in the 100+ degree heat, and we drove around for a while to cool off, pounding water. 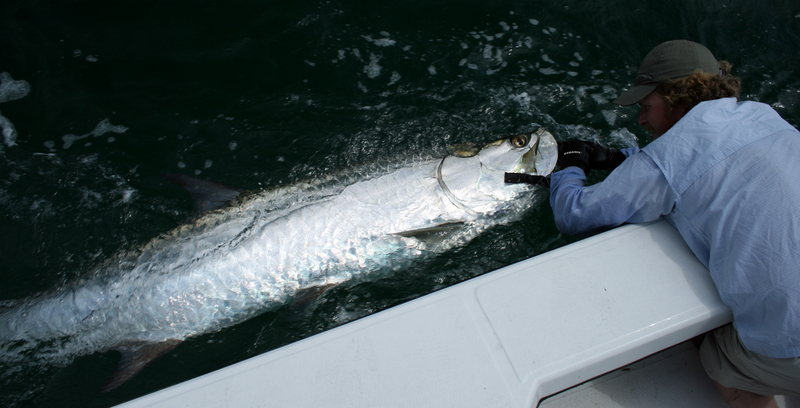 I swore to myself that if I ever hooked another tarpon over 80 lbs I would break it off! That was my one monster tarpon for a lifetime! But it’s been a couple years now and the urge to chase tarpon just won’t go away. Brian tells me these days he has evolved tactics to land them the big ones in a half hour or less! I’ll be back down this summer for another round! Enjoy the film!